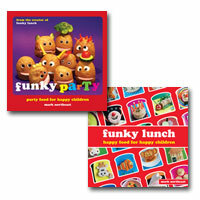 We are really pleased to have launched our Activity Packs for our Creative Food Workshops for ages 6 to 11. These ideally suit an educational environment but could easily be adapted for any other club, organisation or activity group. 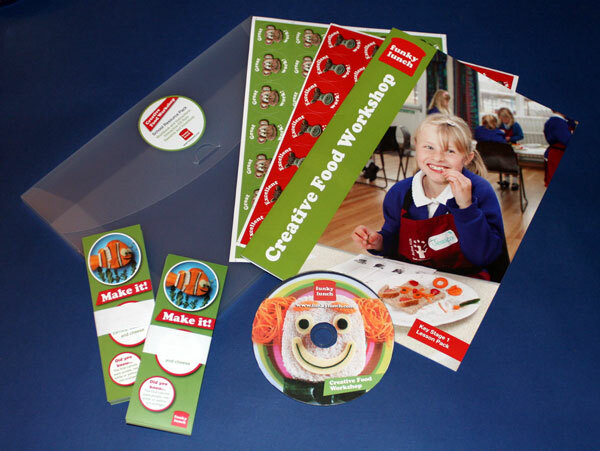 Our classroom poster and sticker packs will help encourage young children to eat their school meal or packed lunch, while teaching them some facts about healthy eating. This is just the beginning of our shop area so please visit us again for more great products. When you click the 'add to cart' button, you will be taken to our PayPal site to complete your purchase. You do not need a PayPal account to pay for this order, just a valid credit or debit card. If you would like to purchase and pack and pay by bank transfer, or by invoice through your local authority, then please contact us for details. 12 page colour workbook with instructions, food lists, suggested lesson plan and 3 x educational worksheets. 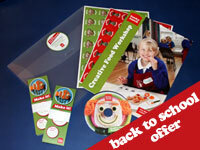 CD Rom including introduction and tutorial videos, downloadable worksheets and certificates. Interactive group activities and photo gallery. Rewards: 30 recipe bookmarks, sticker sheet. 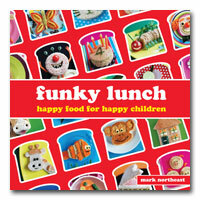 Our second recipe book and by far our most adventurous! 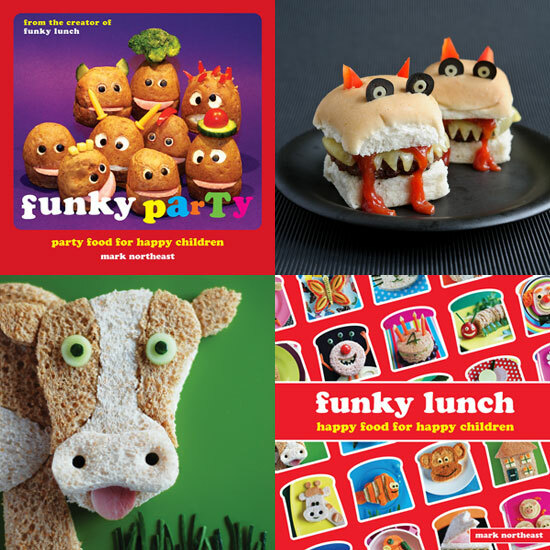 Funky Party contains a selection of suitably funky party recipes, some sweet, some savoury, but all perfect for hungry little boys and girls. You can now order a personalised signed copy of this book and get it sent to anywhere in the world. Just select your delivery country, enter the personalisation and then add to cart. 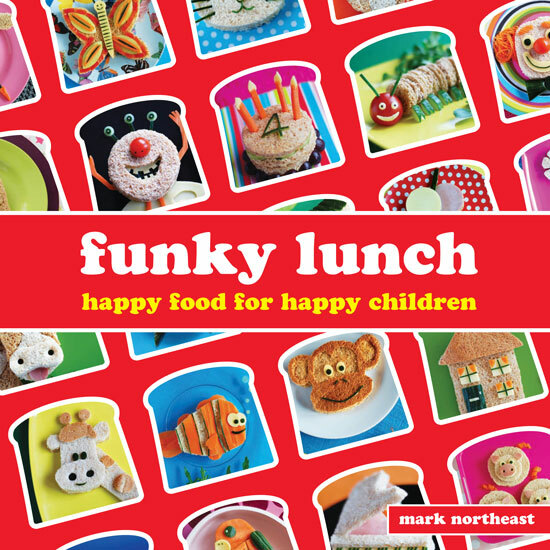 The original and award winning Funky Lunch recipe book is more than just a book about sandwiches, it's a book that will have your children eating fruits and salad vegetables like never before. 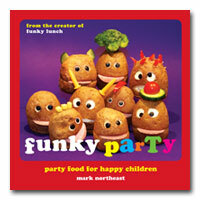 An art gallery of edible treats, this is a book that will keep coming out again and again. To order a personalised signed copy of this book and get it sent to anywhere in the world, just select your delivery country, enter the personalisation and then add to cart. Now you can get your hands on both books at a reduced price! 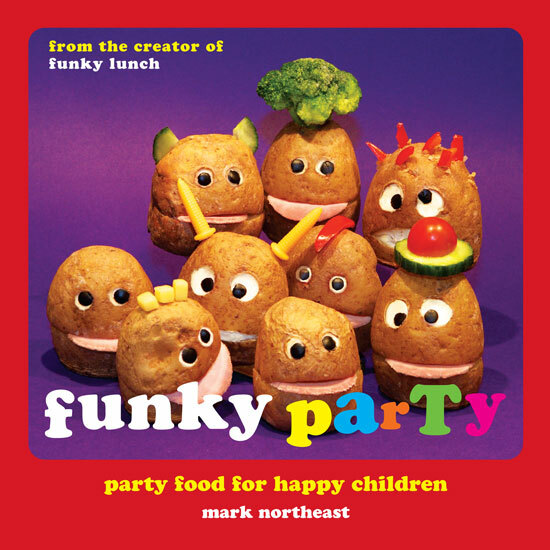 The brand new Funky Party for all your party food ideas and the award winning Funky Lunch, showing your children that healthy food can be fun! To order a personalised signed bundle of these two books, just select your delivery country, enter the personalisation and then add to cart.